Armin Weiner is a global industry leader in Healthcare systems and has both strong analytical skills along with extensive experience in providing next-generation Information System solutions to complex clinical / information / workflow problems. Armin’s experience is based on involvement in the early years of IT development in the 1980s and the subsequent 30 years of professional life spent in different cultures – including 10 years in Israel, 10 in Europe and 10 years in Silicon Valley. European experience includes Microsoft, France Telecom and the Dutch PTT in developing communication drivers for the Windows Server Operating System, followed by the company Scitex, the pioneer in digital pre-press imaging where revolutionary publishing methods were designed and implemented. Moving to the USA, he co-founded RealTimeImage, an innovator in the field of medical imaging. Armin and his company invented new streaming technology to view medical image sets, dramatically improving the quality of patient care which introduced a new paradigm in the rural areas of the world, along with easing the management of medical images in data centres. After the company was successfully sold to GE/IDX, Armin returned to Israel where he researched and developed new technologies in the image processing market for both the Healthcare and Security & Intelligence markets. After moving to Australia in 2010 – he held Architectural and strategic positions within Queensland health and SA Health as well as heading the development of the state-wide Tuberculosis Information System (Under the QH Chief Health Officer branch) . Elizabeth Venzin is a passionate businesswoman and skilled networker with more than 20 years in the corporate industry. After starting out working with large blue-chip companies for many years in various sales and marketing roles, Elizabeth moved into the events arena to pursue her passion and expertise in this area before taking on the role of CEO of the Australian-Israel Chamber of Commerce – Australia’s largest bi-lateral chamber of commerce. During this time Elizabeth fully immersed herself into working with international businesses and organisations and acutely understands the unique business and cultural aspects of both the international and Australian business markets. Throughout her professional life, Elizabeth has built and maintained solid relationships with an impressive and extensive clientele, including people from the highest levels of corporate and political life. Born in Melbourne, Elizabeth completed Post Graduate Studies in Business, and then completed a Masters Degree in Business, majoring in Event Management at Griffith University in 2005. Dr Michal Schneider-Kolsky BSc, DipEd, GCertRepSc, MRepSc, GCertHealthProfEdu, PhD is Deputy Head and Senior Lecturer of the Department of Medical Imaging and Radiation Sciences at Monash University. She was appointed Scientific Advisor Medical Imaging to MedSoft in October 2010. 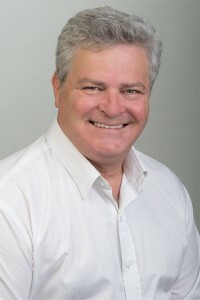 After working as Research Manager at IMED-MIA (Victoria) and Monash Medical Centre, Department of Medical Oncology, Michal Schneider-Kolsky joined the Department of Medical Imaging and Radiation Sciences at Monash University in January 2005 as Senior Lecturer and, in 2009, was appointed Deputy Head of the Department. She has a long history with Monash University, having gained both her BSc (1985) and PhD (2002) at the institution alongside more than ten years employment as lecturer, clinical trials manager and scientist. Michal has more than 40 research articles to her name. Diverse in subject, a key aspect has been the effective use of diagnostic imaging and the ethical and educational issues of imaging professionals. Her main research interests include anatomic and functional imaging of breast and lung cancer using PET and PET/CT and the use of ultrasound and MRI in musculo-skeletal imaging. In addition to her articles, Michal’s specialism has resulted in invitations as a speaker to national and international conferences. She regularly reviews nationally competitive grant applications for the NHMRC and ARC and currently supervises ten PhD and MPhil research students in radiology and radiation therapy.